The Twentieth Amendment of the Constitution of Ireland provided constitutional recognition of local government and required that local government elections occur at least once in every five years. It was effected by the Twentieth Amendment of the Constitution Act, 2001, which was approved by referendum on 11 June 1999 and Article 28A was signed into law on 23 June of the same year. “ 1. The State recognises the role of local government in providing a forum for the democratic representation of local communities, in exercising and performing at local level powers and functions conferred by law and in promoting by its initiatives the interests of such communities. The level of involvement of the public in a particular process depends on a number of factors, including the expected outcome, its scope, who and how many will be affected, whether the result settles matters on a national, region or local level, and so on. There is a “ladder” of participation, in which members of the public have the most power—even approaching direct democratic decision-making—with respect to local matters with no impact outside the community. As situations become more complex and involve more global issues and affect larger numbers of people, the role of individual members of the public diminishes and the role of politicians and public authorities that must bear responsibility for such decisions becomes greater. The involvement of the public can pass through various stages as one climbs up the ladder—from direct decision-making to administrative status, participation, consultation, to the right to be informed only. In addition, different persons may have different status in connection with participation on a particular matter. Those who are most affected by the outcome of the decision-making or policy-making should have a greater chance to influence the outcome. This is behind the distinction between “public” and “public concerned.” Clearly when it comes to deciding what is being built next door to you or at least close enough to dramatically affect your health and happiness, you should have the loudest voice. Local Government and Central Government Relationship. The relationship between central and local government often displays a tension that mirrors the need and desire of communities to govern their own local affairs, especially their immediate environment, and the will of the central government to impose its national “one size fits all” plan over the entire country. A good example of a one-size-fits-all-plan is the NREAP (National Renewable Energy Action Plan), which is dominated by wind energy and accordingly wind farms (lots of them) are an essential aspect of that national policy. .But what happens if the locals of a particular constituency do not want wind turbines ruining their lives, health and environment? Can they use the local government structures (City and County Councils) to prevent the central government blighting their neighbourhood with industrial wind farms? In other words, what would happen if a County Development Plan banned wind turbines for example? The original Section 31 of the Planning and Development Act of 2000 allowed the Minister to issue directions to a planning authority regarding the content of its draft development plan in certain specified circumstances. In essence these circumstances were where the development plan failed to set out an overall strategy for the proper planning and sustainable development of the area or otherwise significantly failed to comply with this Act. There was no guidance provided as to what constituted a significant failure, but an example would be where a Council failed to adopt a housing strategy in terms of Section 96 of the Act (social and affordable housing). The section was clear that the Minister could only exercise this power in exceptional circumstances where there was a clear breach of the Act (as opposed to any political policy). Secondly, the power of the Minister only applied in relation to a draft development plan. The Minister had no power to require variation or amendment in respect of a plan already adopted. In other words, the original Section 31 allowed the local government structures to decide on their own development needs and strategy (the County Development Plan) and the Minister only interfered in exceptional circumstances, namely where there was a clear breach of the 2000 Act. This was clearly not to the current government’s liking and in 2010, Section 31 was replaced in its entirety by s.21 of the Planning and Development (Amendment) Act 2010 (No. 30 of 2010), with effect from October 5, 2010. Sections 31(5), 31(9), 31(13)(c) and 31(14) were further amended by s.5(7) and Pt 4 of Sch. to the Local Government Reform Act 2014 (No. 1 of 2014), with effect from June 1, 2014. (d) if applicable, having received a submission prepared under section 31C or 31D (inserted by section 95 of the Act of 2008) that a plan of a planning authority in the Greater Dublin Area (GDA) is not consistent with the transport strategy of the National Transport Authority, the Minister may in accordance with this section, for stated reasons, direct a planning authority to take such specified measures as he or she may require in relation to that plan. What this means is that the control of the content for a County Development Plan is not ultimately decided by the local government for that area, but by the Minister himself. 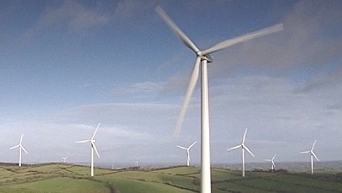 In July 2014, the Minister for the Environment Alan Kelly ordered Roscommon County Council to remove a number of restrictions on the location of windfarms in the county from its county development plan, including a provision of a minimum separation distance of 1.5 kilometres between the nearest wind turbine and an existing or permitted dwelling house. He also scrapped a provision which proposed a minimum distance from dwellings of 10 times the height of turbines. Before that in Westmeath the previous Minister for the Environment Jan O’Sullivan ordered Westmeath County Council to remove a restriction requiring “industrial” wind turbines to have a setback distance, from homes, of ten times the turbine’s height. So much for the Twentieth Amendment to our Constitution guaranteeing local government. We are no longer in control of our immediate environment – the Minister and the wind industry are in control.